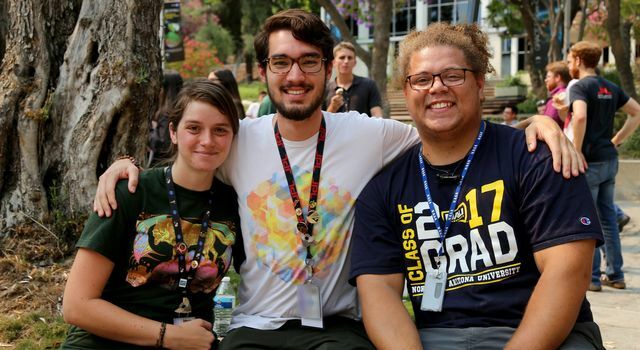 When the new crop of summer interns started showing up at NASA’s Jet Propulsion Laboratory in Pasadena, California, this past June, they joined the more than 2,000-plus students placed across NASA’s 10 field centers, instantly becoming part of the NASA family. “They may not be together geographically, but these interns are getting this unique experience all over the country,” said Katherine Brown, public affairs officer for education at NASA Headquarters. But between the challenging workloads, exciting education opportunities and inspiring culture at JPL, interns who come to the laboratory often see only one piece of the NASA puzzle. Intern and University of Colorado Boulder astrophysics student Maya Yanez has spent the past two summers at JPL – one working on describing potential radical chemistry on Kuiper Belt objects, and one helping to identify potential landing sites on Jupiter’s moon Europa. “You get the chance to be a little sprocket in this massive machine of making things happen at JPL, but then you can kind of lose sight of the fact that JPL is one component of NASA, and there are hundreds of interns at other centers doing comparable things,” Yanez said. 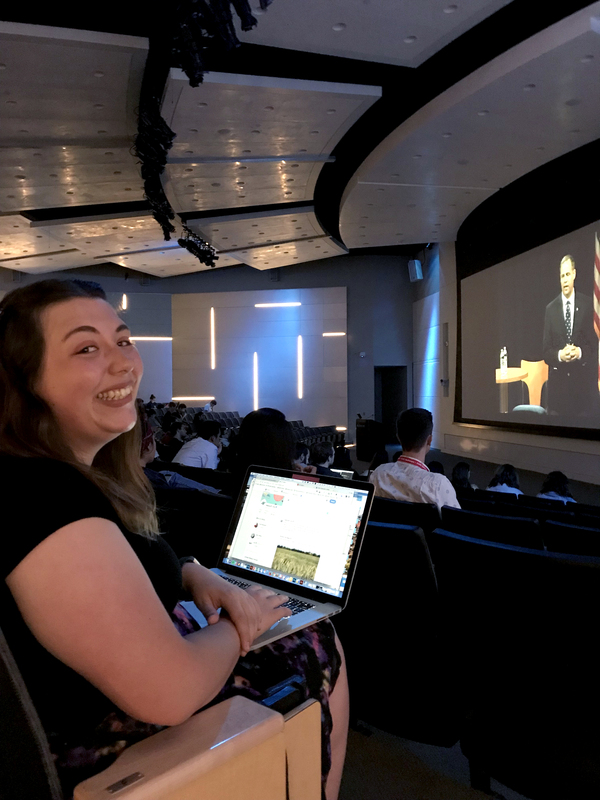 This year, NASA Headquarters’ internship and communications coordinator Christine Linsinbigler saw opportunities to bring the centers together. 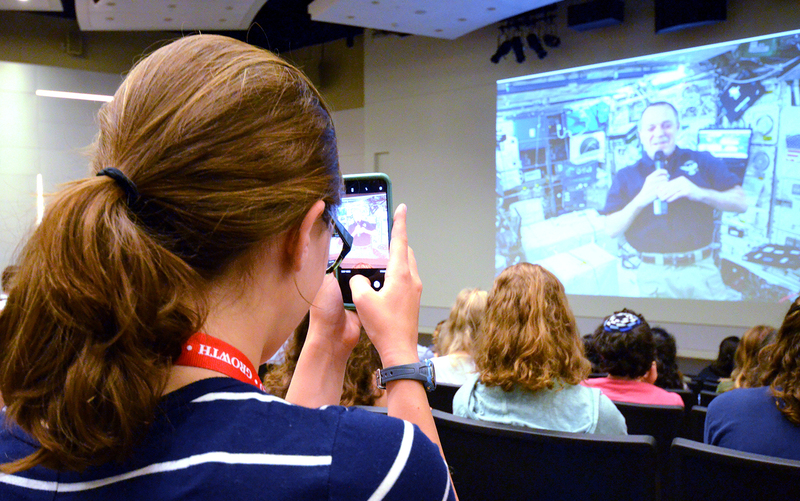 She organized an agency-wide live feed of NASA Administrator Jim Bridenstine’s intern town hall at Goddard Space Flight Center on July 26, and an ISS downlink Q&A – where interns got to pre-record questions for astronauts to answer live from the space station – on July 30. “With National Intern Day on July 26, we were able to roll the events into one big intern week,” Linsinbigler said. This was the first year a NASA administrator conducted a NASA-wide town hall, where interns from all of the centers could submit questions in short videos. Yanez was selected to live-tweet Bridenstine’s responses from the JPL Education Office’s @NASAJPL_Edu handle so students, JPLers and members of the public could see some of the responses. Yanez was also appreciative of the administrator’s openness to discuss inclusion and diversity in the field, and how NASA plans to maintain its current programs. At NASA Headquarters, inclusion and diversity within NASA starts with the intern program, which saw its largest and most diverse applicant pool of interns this summer. Brown said it followed a concerted effort of making the public aware that an internship at JPL, Langley or Johnson is more than just for STEM students – there are opportunities in communications, human resources, education and other fields that are all relevant to how the agency runs. “We’ve showcased interns on our social media, we held a Reddit ‘Ask Me Anything’ Q&A with Johnson Space Center Flight Director Allison Bollinger, and we’re hoping that including more events like the administrator town hall and ISS downlink will continue to attract a diverse group to NASA,” Brown said. 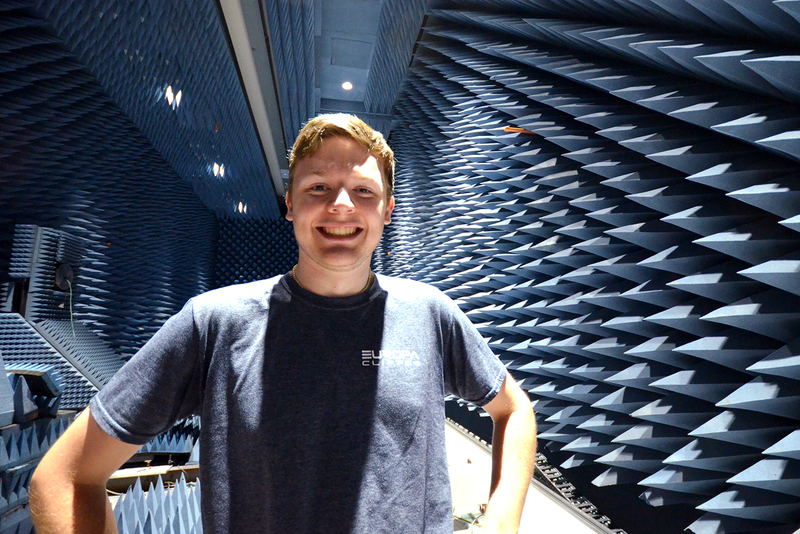 When JPL intern Zachary Luppen heard about the ISS downlink – and that he would have a chance to ask an astronaut a question – he already had pages of questions lined up. The pre-recorded video questions from interns across NASA centers were played during the ISS downlink on July 30, and JPL interns gathered to hear astronaut Ricky Arnold’s responses. Luppen asked Arnold if there were any specific pointers he could give NASA interns who want to be astronauts themselves, and go to the ISS, the Moon or even Mars. Luppen said the ISS downlink was special, as it was one of many “bucket list” items he was able to check off during his summer at JPL, but the work he conducted at the laboratory was more important to his future. 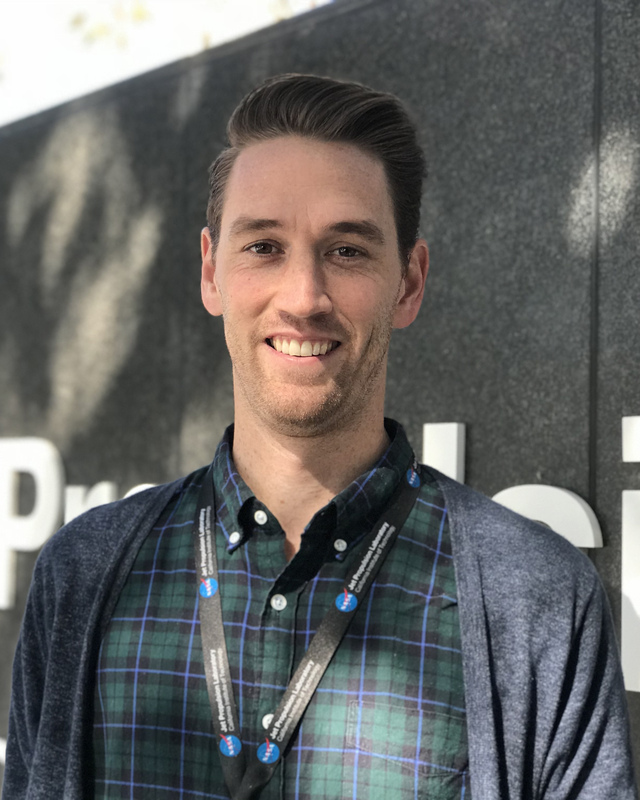 Over his 10 weeks at JPL, Luppen worked on test procedures for the dual-frequency radar instrument (REASON) slated to ride aboard NASA’s Europa Clipper spacecraft. That allowed him to connect with a group of employees who are really doing what he wants to do. 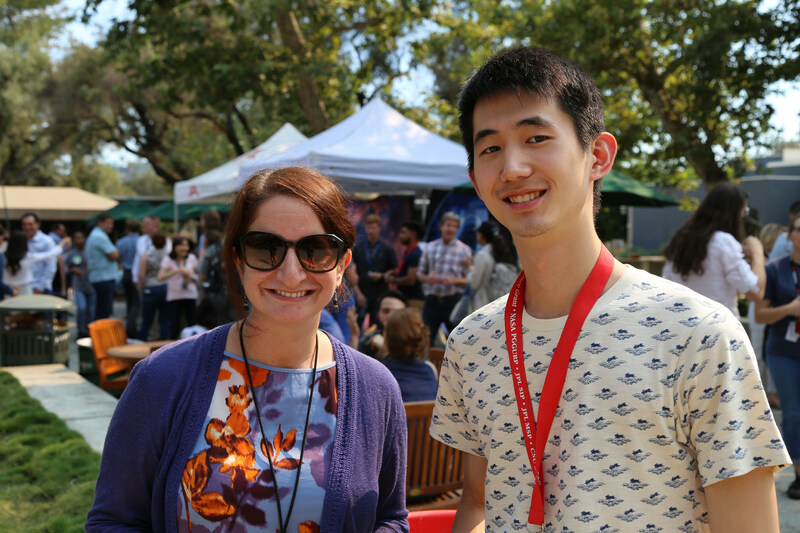 Intern Christopher Jia-Kuan Yen, a senior geology-chemistry student at Brown University, spent his summer working with Deputy Project Scientist Abigail Fraeman on remote sensing and imaging instruments aboard the Mars Reconnaissance Orbiter. As for the question he asked of astronaut Ricky Arnold, it was – of course – imagery based. “I wanted to know, based on what he’s seen from the windows of the ISS, where he would most like to visit on Earth,” Yen said. Arnold responded that the list seems to get longer every day he’s on the station, but the mountains of Peru, Chile and Argentina have caught his eye. “I guess I’ll have to head down there and check it out someday,” Yen said with a smile. In retrospect, Yen viewed the ISS Downlink as one more example of how special interning at JPL can be. 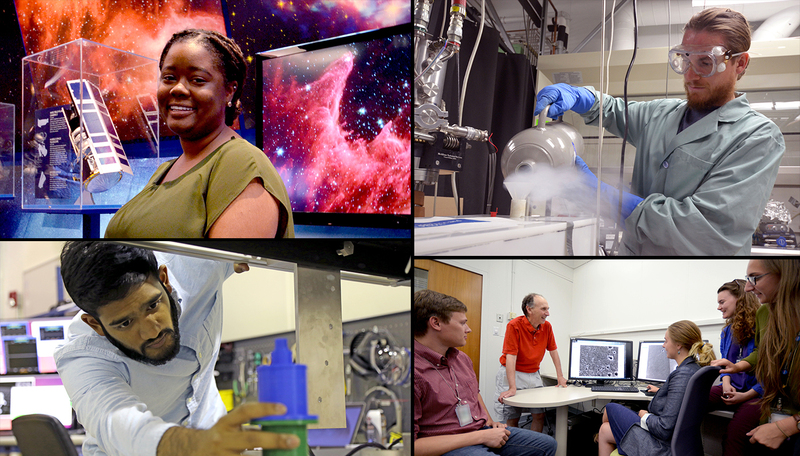 This summer, 400 JPL employees participated as mentors, providing guidance to the 700 interns working in various fields across the laboratory. Taylor Hill is a features writer for Internal Communications at NASA’s Jet Propulsion Laboratory. He enjoys camping, eating meatball subs, and bees – even though they tend to sting him.